The June/July 2014 Print Issue is a print edition delivered by mail in 1-2 weeks. 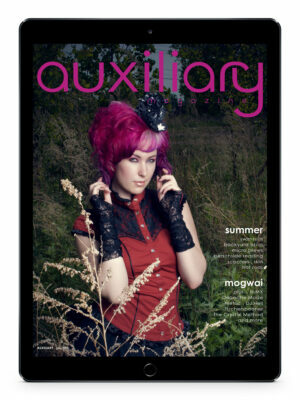 The June/July 2014 Issue is the thirty fourth issue of Auxiliary Magazine. 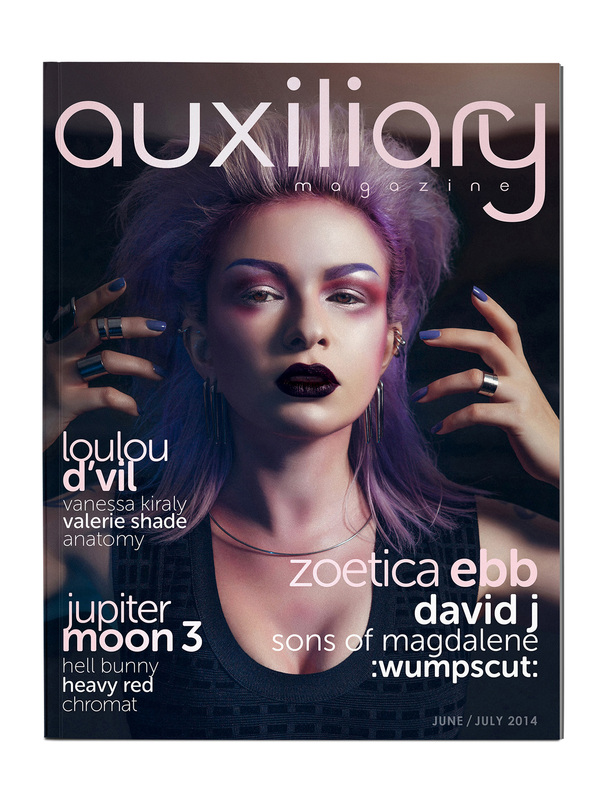 This issue features a cover feature, interview, and exclusive photoshoot with model, fashion designer, and artist Zoetica Ebb, an interview with David J of Bauhaus and Love and Rockets, an interview with Sons of Magdalene, and a Seven Deadly Questions interview with :Wumpscut:. 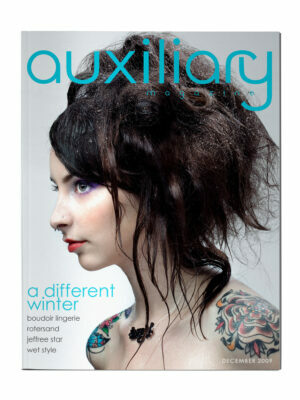 The issue also contains a designer spotlight on Jupiter Moon 3 and LouLou D’Vil as our PinUp. Plus one beauty editorial, three fashion editorials, beauty features, fashion features, media reviews, music reviews, our Ask Arden advice column, and more!